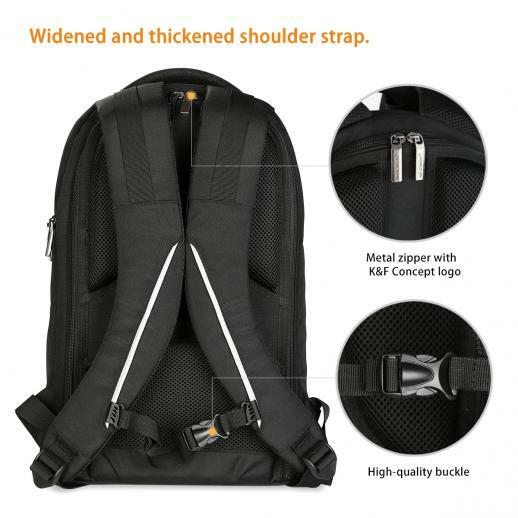 Buy K&F Concept outdoor camera backpack 11.4*7.1*17.0 inches online, worldwide free shipping and 30 days return guarantee. 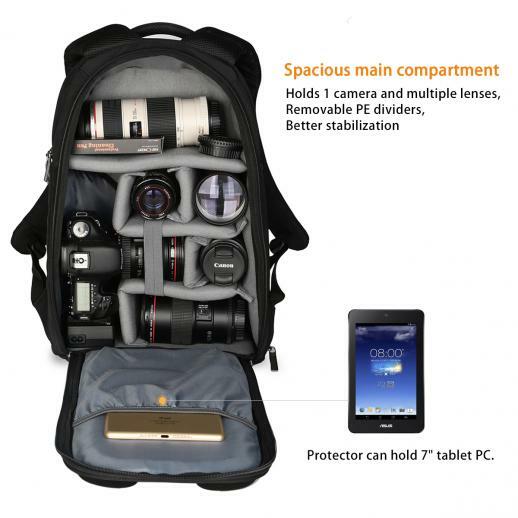 • Multi-functional camera backpack, can hold 1 camera and multiple lenses, flashlight, 7" tablet PC and other small items. • Body-side access provides easy access to gear and back entry to compartment can effectively keep your gear from being stolen. • Spacious main compartment, and its removable dividers made of PE board and EPE foam stabilize your gear without hurting it. • Two tripod straps on the front can help balance the backpack when a tripod is carried. 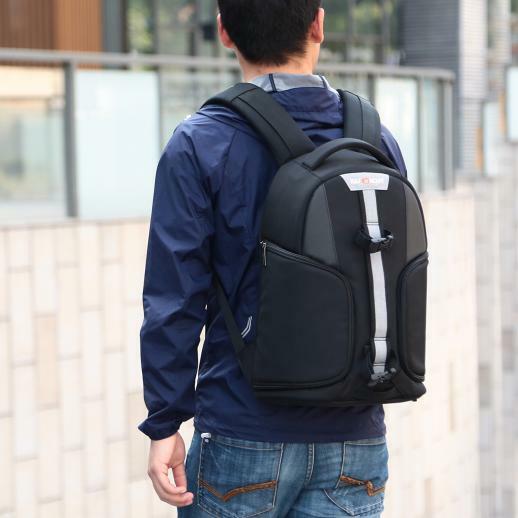 • Waterproof high-quality nylon material, wear resistant, scratch resistant, tear resistant. ✮Camera bags are an important part of your equipment arsenal. Sometimes the right camera bag is a backpack. ✮Protecting the investment in your DSLR or video camera is vital.Doing it in style and comfort is essential. 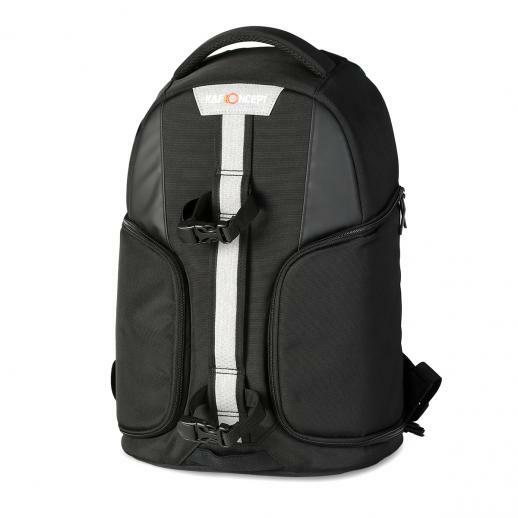 ✮Comfortable on the go, casual, and practical in travelling, hiking, photographing, and other outdoor activities. ✮They tend to be better at managing large systems, better at combining cameras with laptop computers, and better at weight management and load balancing. 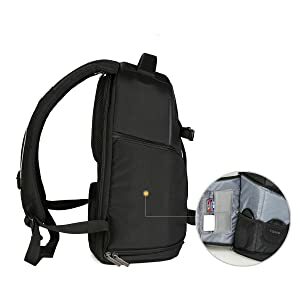 ✮Designed for SLR DSLR camera and its accessories, its fully padded insert not only separates DSLR from accessories but offers a shock-proof protection. ✮Widened and thickened shoulder strap. ✮Body-side access provides easy access to your gear. 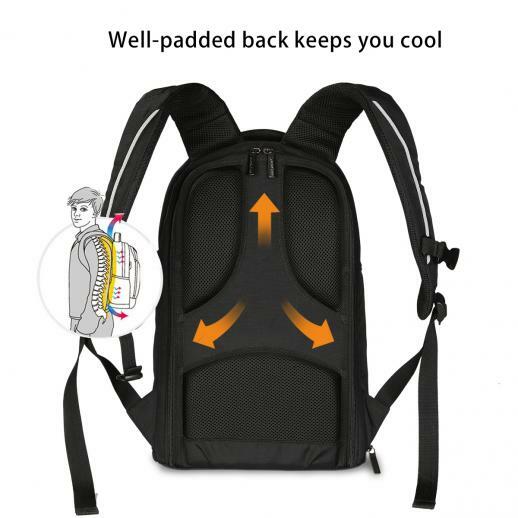 ✮Interior pocket on the back protector can hold 7" tablet PC. 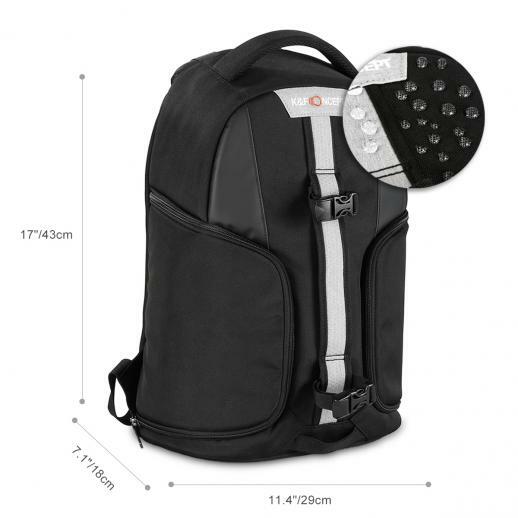 ✮Multi-functional camera backpack with spacious main compartment. ✮Waterproof nylon material, wear resistant, scratch resistant, tear resistant. ✮Back entry to compartment can effectively keep your gear from being stolen. Two tripod straps on the front can help balance the backpack when a tripod is carried, with detachable raincover provided. 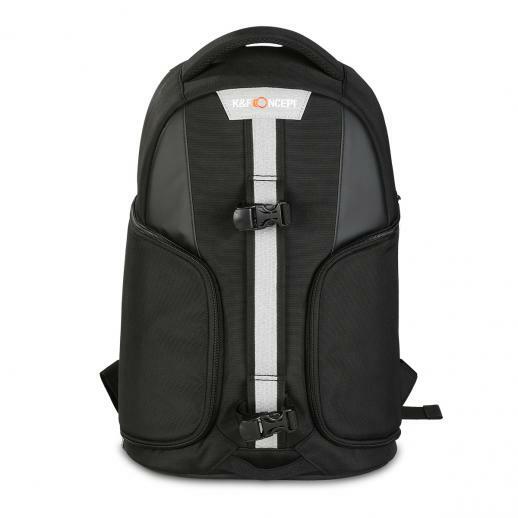 Air-mesh straps and well-padded back keep you cool, enhance the comfort of your long journey. Side pocket on the left can hold filters, batteries, data cable,also meet your daily needs. Lieferung Schnell, Qualität Top, Alles verstaut + Regenschutz + Reinigungsmittel und Stativhalter. Sehr gerne wieder und nur zu Empfehlen. Habe 2 Kameras und Zubehör drin und alles hat Platz durch individuelle Anordnung. I bought this backpack because it can handle the abuse with the type of photography that I do. I live in Alaska and it’s a very snowy/rainy place. Being water proof is a life saver. I don’t have to worry about my gear getting wet. Even though it is water proof it came with a rain cover for extra protection cause you can never be too safe. 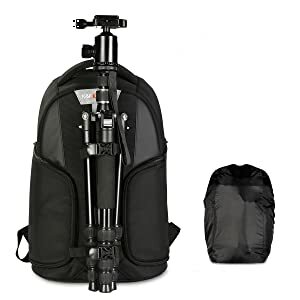 I would reccomend this camera bag to anyone who hikes, it can take the abuse. I will without a doubt by from this seller again in the future!